Our kids program focuses on self defense, anti-bullying, and virtue building. 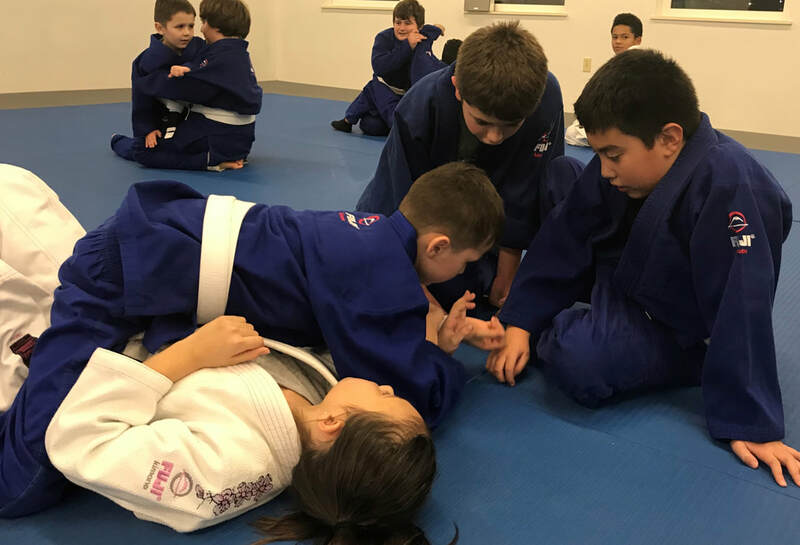 Your kids will learn a variety of highly effective self defense skills, many of which are the same techniques taught in our adult classes. They will learn how to defend themselves while on their feet and on the ground. We run very interactive and fun classes! We do not focus on having the kids simply memorize forms. Instead we focus on teaching kids how to apply the skills they are learning in real time. All while training in a fun, safe and positive environment. 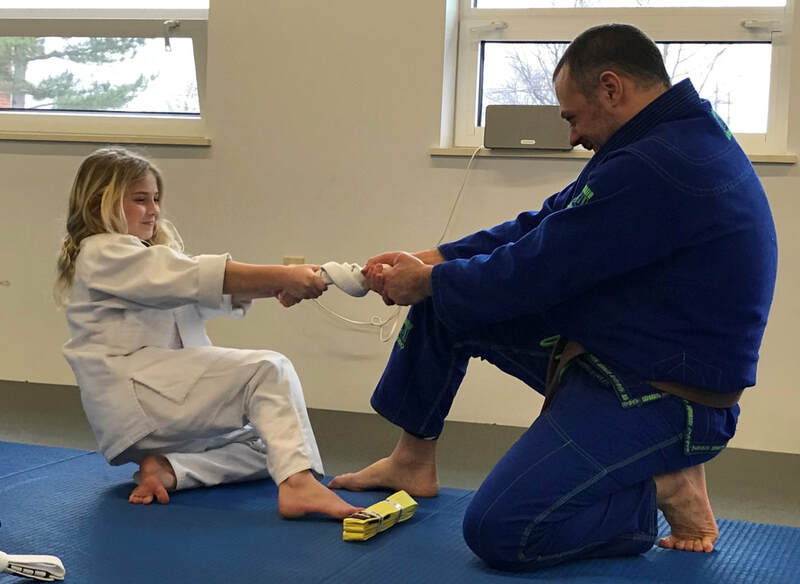 MKG CLE Martial Arts offers two unique programs for your kids. We offer classes in Brazilian Jiu-Jitsu and Mixed Martial Arts. 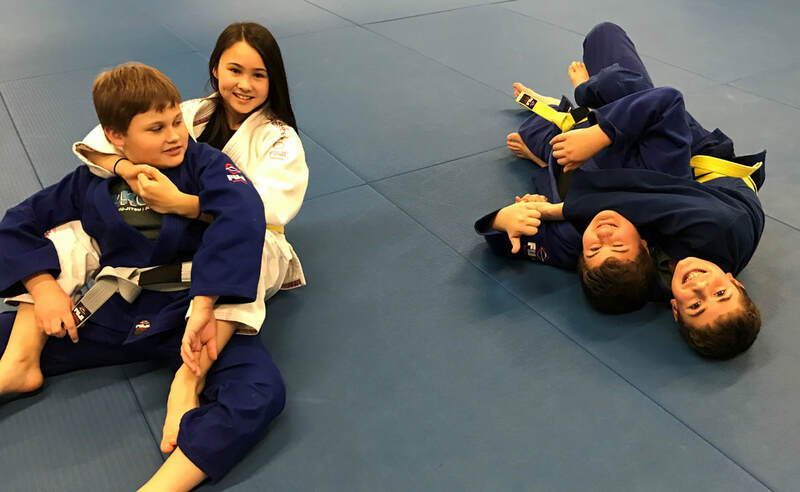 Our Youth Brazilian Jiu-Jitsu (BJJ) classes teach effective self defense from the ground up. The classes focus on how to keep your kids safe while on the ground. That includes how to escape from being held down on the ground, how to control a bully on the ground, and how to finish with submissions. Kids naturally love to wrestle and this class teaches them how to do so using leverage and technique. Safety is a big priority for all our classes. We provide a very fun and positive environment for the kids to learn and grow! We also offer classes in Youth Mixed Martial Arts (MMA). 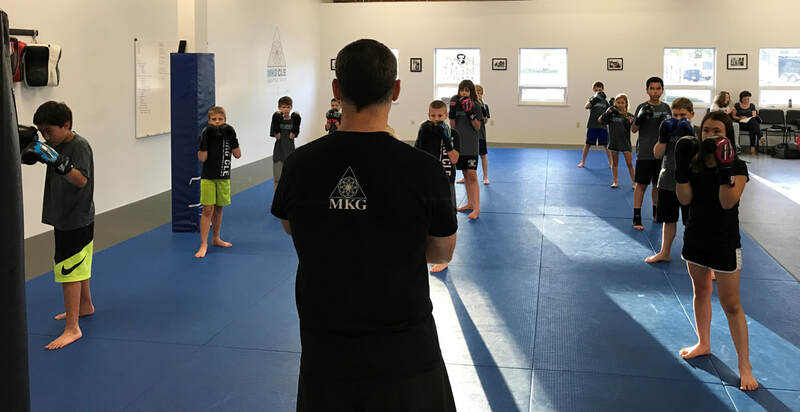 This class will teach your kids the fundamentals of Boxing, Muay Thai Kickboxing, Jun Fan Kickboxing (Bruce Lee's style) and Filipino Martial Arts (FMA). They will learn how to properly throw punches, kicks, knees, elbows, and how to protect themselves from such attacks. The FMA portion of class uses weaponry (sticks) to teach the kids distance, timing and coordination. FMA double stick training is currently being researched for its amazing brain health benefits. Training in double stick has been shown to improve cognitive function, and make learning new tasks easier. The kids love it, and it may help them focus better in school! The youth program is designed for children who are 7 - 14 year olds. However, if your child is under the age of 7 and you are interested in our classes, please call us so we can discuss if they would be a good fit for our programs. These are the four values that our kids program is build around. We spend time every class discussing these values and how the kids can apply them to their daily lives. Training in the martial arts is not just about learning cool punches and kicks, its also about helping people develop into positive and productive members of society. Internalize these values will help your child grow into confident, and respectful young adults.